The Lugger Hotel is located on the only promenade in Cornwall and is a comfortable family run hotel with its own Wheelhouse Restaurant and famous carvery. Centrally located for the town's facilities, the hotel occupies an ideal position overlooking the beautiful Mounts Bay. 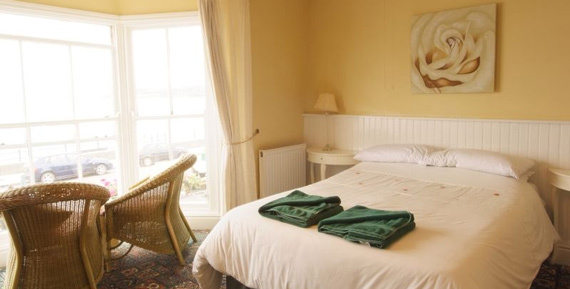 All of the rooms are en-suite, some with a beautiful view over Mounts Bay. The rooms are fantastic for families, excellent for walking groups, fishing groups, cycling groups, and other activity group bookings.